The start of a new year often prompts us to get things done. If you need some help with your productivity, there are some useful mobile apps to consider. Here is a list of productivity apps for 2016. There are apps for task automation, team management, money transfer, concentration, scheduling, analytics, video conferencing, and shipping. Some tools are new; others are established favorites. Nearly all of these apps have free plans. 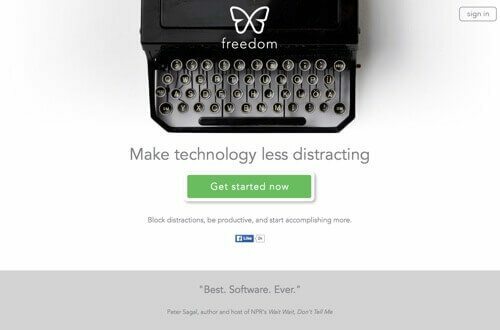 If web browsing is cutting into your productivity, Freedom can save you from distracting apps and websites. Block exactly what you want, when you want. Start sessions on-the-fly or schedule your Freedom time in advance. Freedom works on all your devices. Available on Android and iOS. Price: Basic is free. Contact for premium pricing. 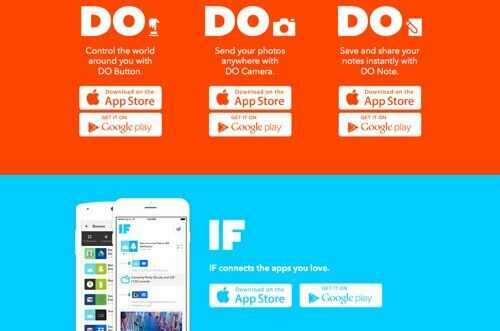 IFTTT, a tool to automate workflow, has released two apps for mobile productivity: DO and IF. DO lets you create your own personalized automations with Do Button, Do Camera, and Do Notes. IF lets you connect apps you love with conditional recipes to automate tasks. Available on Android and iOS. Price: Free. 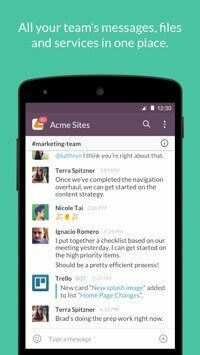 Slack is a team communication app to share messages, files, docs, and more. Make a channel for a project, a topic, a team, or anything. Everything in Slack — messages, notifications, files, and all — is automatically indexed so that you can have it at your fingertips. Available on Android and iOS. Price: Free for small teams. Premium plans start at $6.67 per month. 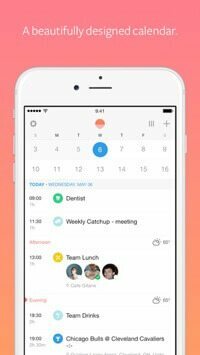 Sunrise is a free calendar for Exchange, Google Calendar, and iCloud. Sunrise also connects with popular apps like Facebook, Evernote, Foursquare, TripIt, Todoist, and Trello. 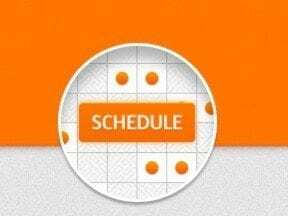 Sunrise also comes with Meet, a tool to schedule a one-on-one on the go. Sunrise automatically syncs between your phone, tablet, and computer. Available on Android and iOS. Price: Free. Zoom unifies cloud video conferencing, simple online meetings, group messaging, and a software-defined conference room solution into a single platform. Zoom’s mission is to make video and web conferencing frictionless. Available on Android and iOS. 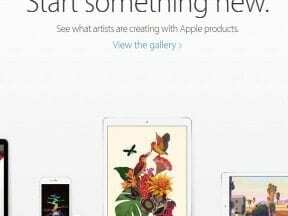 Price: Basic plan is free. Paid plans start at $14.99 per month. Venmo is an app to pay anyone instantly from your bank account. Pay family and friends in the U.S. with a phone number or email, whether or not they have Venmo. 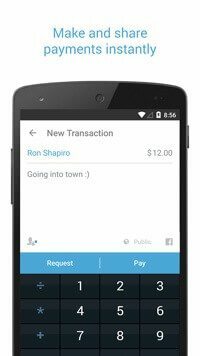 Paying with Venmo is free when it comes from your Venmo Balance, bank account, or major debit card. Receiving money is always free. Available on Android and iOS. Price: Free. There is a 3 percent fee on credit cards and some debit cards. 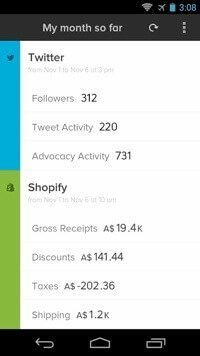 SumAll is a data analytics tool that gathers your social media activity, website traffic, email marketing, payments information, and ecommerce store data. Get weekly reports; monthly reports are coming soon. Available on Android and iOS. Price: Basic is free. Premium is $99 per month. 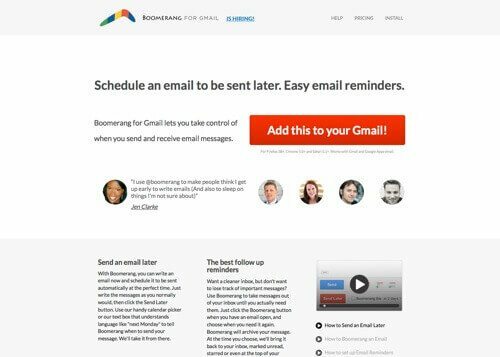 With Boomerang, write an email now and schedule it to be sent automatically at the right time. Get reminded to follow-up if no one replies. Archive messages and bring them back at the right time. Boomerang is an extension for Gmail. Price: Basic is free. Premium starts at $4.99 per month. 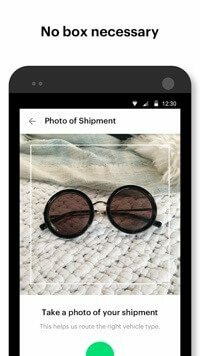 Shyp is an app to ship items quickly and easily for an affordable price. Couriers arrive in 20 minutes, and every shipment is professionally packaged. Shyp is available 7 days a week (8 a.m. to 8 p.m.). Currently Shyp is available in San Francisco, Los Angeles, New York City, and Chicago — more cities are coming soon. Available on Android and iOS. Price: Pickup and packaging for as many as 20 shipments is $5. Prices are compared across carriers for the lowest rates. 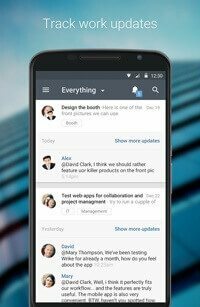 Trello is a collaborative board app to organize anything you’re working on. 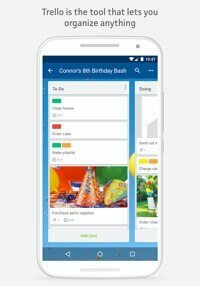 Create projects and add cards. Add checklists, or assign tasks to team members. Attached files from Google Drive and Dropbox. Comment on items. Reply to comments and create cards from Android Wear. Available on Android and iOS. Price: Basic is free. Premium is $8.33 per user/month. Wrike is a project management tool. Break large goals into manageable pieces, attach files, and set due dates. Track overall progress and individual contribution. Message instantly, and communicate and share tasks with people outside your team. Write integrates with Drive, Dropbox, Gmail, and more. Available on Android and iOS. Price: Free up to 5 members. Premium is $10 per user/month. 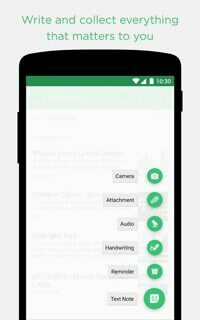 Evernote is the popular tool to gather everything that matters. Write lists or lengthy research, taking ideas from inspiration to completion. Clip web articles, capture handwritten notes, and snap photos to keep the physical and digital details of your projects. Communicate, collaborate, and share in real-time without ever leaving Evernote. Available on Android and iOS. Price: Basic is free. Premium plans start at $24.99 per year. SaneBox is a tool that determines the importance of incoming emails, moving unimportant emails out of the inbox and summarizes them in a digest. Move emails to the snooze folder to defer or to SaneBlackHole to unsubscribe. Get reminders when people don’t reply to you. 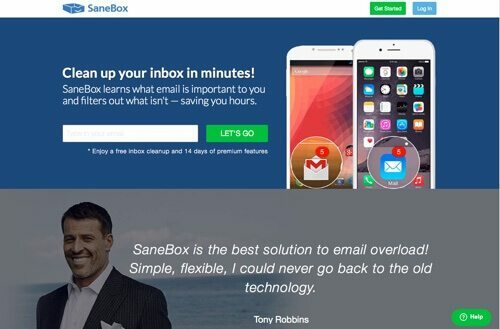 SaneBox works anywhere you check your email. Price: Plans start at $7 per month.